Rotor Studios and Creative Agency Protein One have joined forces to develop a new app, the release of which was announced earlier this month. School children in Australia will have the opportunity to learn the ins and outs of the operation of a recycling centre in Hume. However, instead of having to traipse down to the facility, VR technology enabled by Oculus Rift headsets will let children learn about every aspect of the operations of refuse recovery specialists Re.Group. As we’ll see, however, the experience isn’t some mere series of 360-degree demonstration video. What the app does is recreate the entire facility at a 1:1 scale in virtual reality that the children can explore from top to bottom. The young users will be able to navigate through every nook and cranny of the operation and enjoy a phenomenal level of interaction with the facility’s environment. The children will be able to operate machines as they engage in games developed to educate them about the ins and outs of the various functions and processes at work. The level of interaction available to users is incredible, and forms a very promising example of the kinds of experiences that virtual reality will increasingly be able to provide class rooms. Special games are available for children to learn about the regular operations of the facility as they help separate refuse and assign resources. There are also visual aids and voice overs to assist with the learning process. This software suite wouldn’t be the first example of VR offering learning capabilities. Indeed, its format shares many similarities with that of Operation Apex, the VR marine biology simulator. 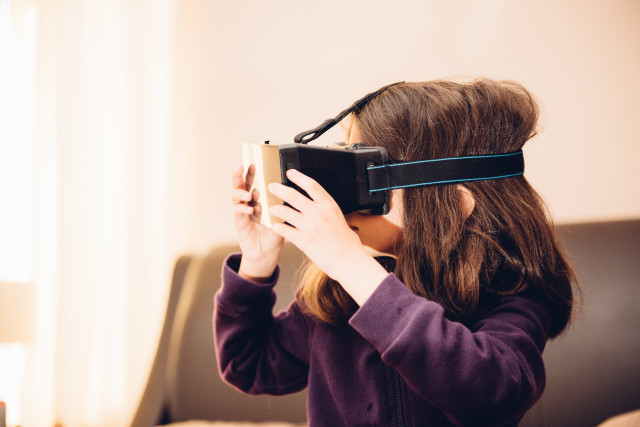 It is a great example of the benefits of hands-on learning technology versus traditional methods of education: the VR world proves incredibly immersive and can capture a child’s attention in a way that a textbook or video simply can’t compete with. We’re still in the earliest days of VR as an educational tool, but the potential of such technology in the future is certain to increase exponentially as developers and educational specialists begin to work in closer cooperation. Students have the opportunity to learn information in a much more engaging environment that can stimulate their brains in a palpable fashion, and bring them face to face with their subjects in a way that goes far beyond mere novelty. What’s more, VR activities such as these prioritise learning by doing, rather than just the fact retention that is the foundation of learning by rote. This has proven to be a much more effective means of learning, and lets children create experiences to help anchor fact-based learning in a more dynamic and impactful dialogue. What these students can enjoy at the Recycling Discover Hub is certain to be among the first of many such ingenious examples of the potential of virtual reality-assisted education. Great write-up thanks for this wonderful share. I love this tool, quite a helpful share for students.